Every time when I travel to Croatia it comes with a different story. While making a choice for destinations I try to visit places I haven’t been before and usually hit the road without any expectations, simply because I like when certain place surprises me with it’s unique identity, weather it’s good or bad. This time was no different… I knew about Starigrad Paklenica Film Festival for some time, but this year finally I managed to fix all the pieces of the puzzle and end up as a part of this international happening, one and only of this kind in the world – music documentary film festival. The SPFF team couldn’t choose a better place to mix music and film in beautiful symbioses with the nature. I believe that each visitor found something breathtaking. 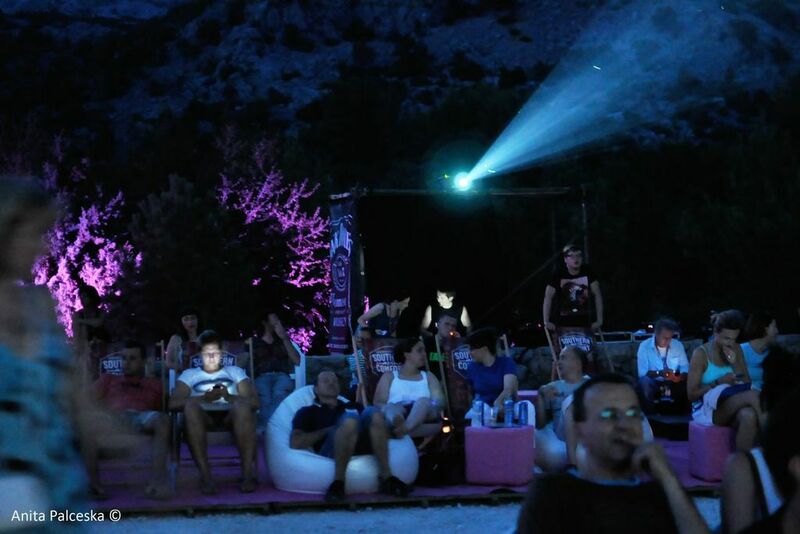 Some of us were enjoying the excellent choice of the movies projected under the stars in the canyons of Velika and Mala Paklenica. 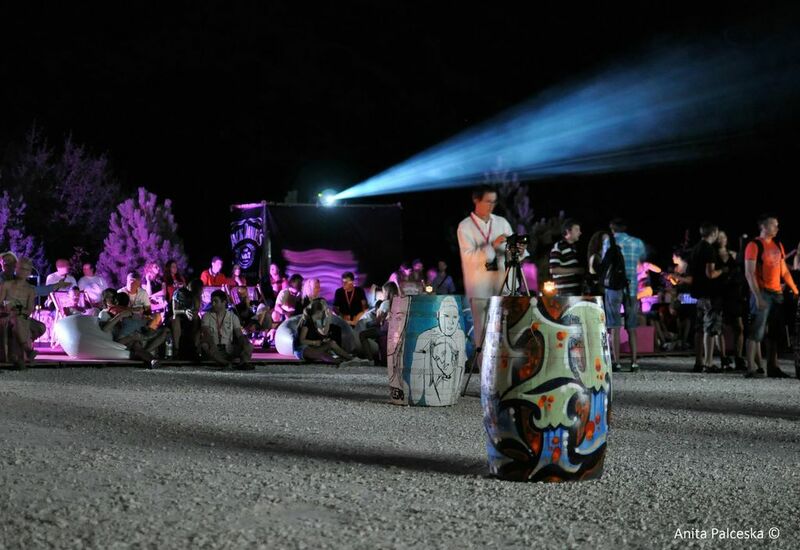 Some of us partying on the concerts or DJ sets organized every night after the projections in Mala Paklenica. Most of us enjoying the gоurmet food sessions… But all of us together enjoying the beautiful energy among all participants. 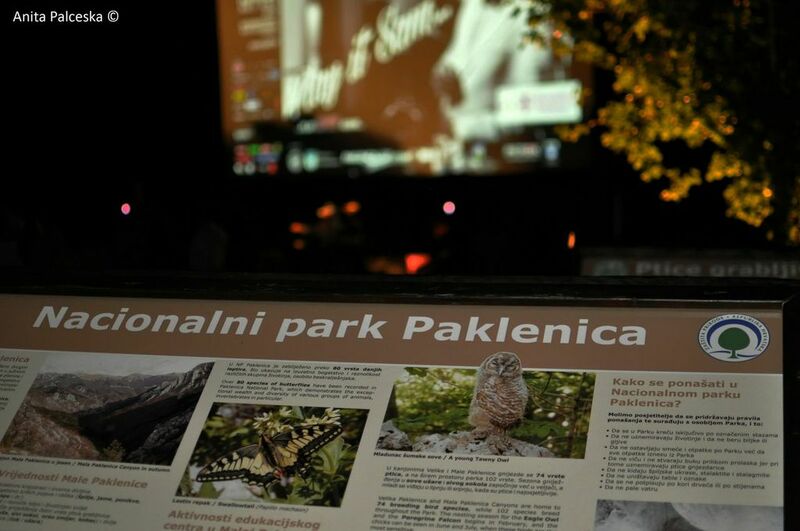 Like we are one, like Paklenica is the center of the world. 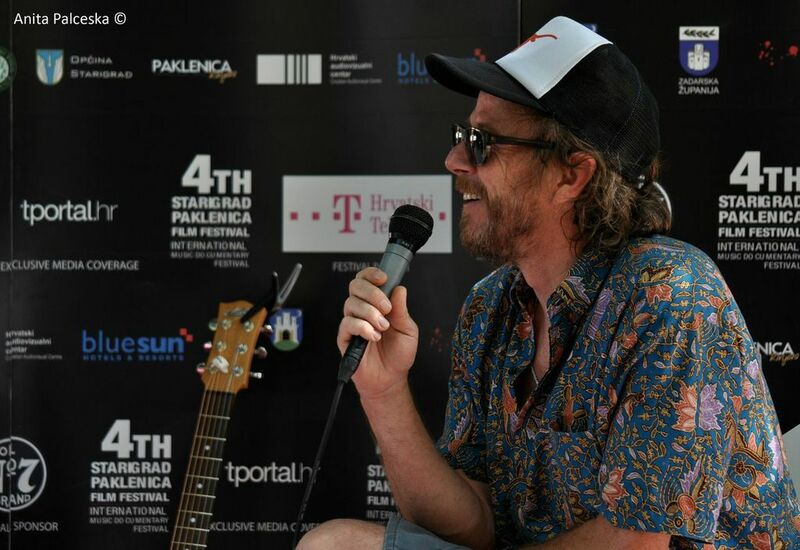 The director of the festival, Mr. Admir Culumarevic, in his interview for Vecernji List said that the biggest fortune of the festival are the people. We all connected in in a special way. Way that changed forever our perception of the music, the film and both of them together mixed in these genre. After the 6 days of the festival we felt like we are there for a long time, a compact group of lovers of beautiful things, connected together with the mountain, the sea, the music and the film. 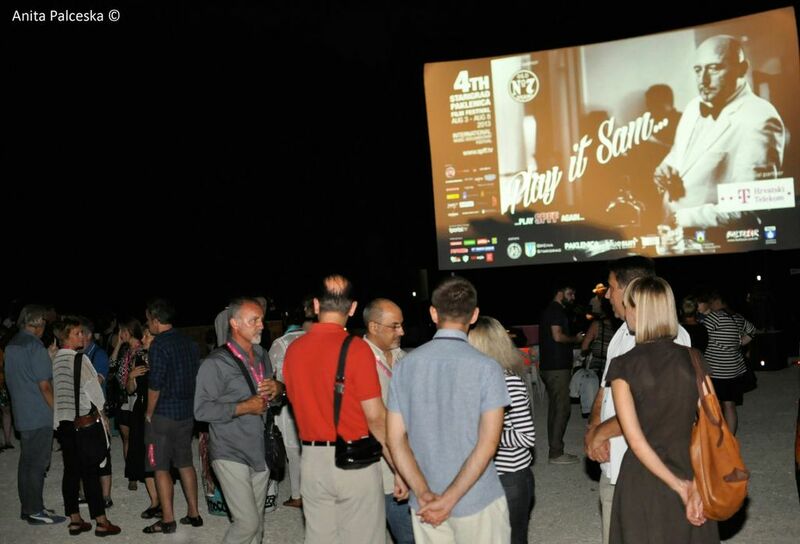 All the projections were scheduled in the three cinemas: Mala and Velika Paklenica, and from this year the new cinema at the beach. 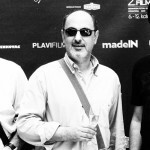 148 films this year applied on the festival, and the selector Zoran Pezo made an extraordinary choice for us of 28 topics with different stories, scheduled in 4 categories. 22 of them were in competition program of long and short music documentaries, 4 of them were in the Slovenian week, since Slovenia was a partner of the festival, and as a bonus we’ve seen 2 films out of the competition. And if you ask me what was my favorite film I will say that in this genre is quite difficult to make a choice. Especially for the lovers good music and film, since every story was told in different specific way of the story teller, treating good music from every part of the world. Searching for Sugarmen (SWE, Malik Bendjelloul) in tears and smile took us on a trip from one part of the world to another, in one totally unusual story with unpredictable end. Marley (USA, Kevin McDonald) biographic story for Bob Marley told from his friends and family in his characteristic manner – cheerful and full of positive energy that we can feel in his music as well. Hugh Laurie : Down by the river (UK, John Paul Davidson) introduced us with the musician side of the famous actor (Dr.House) through his travelling experience in the US, following the trails of his favorite musician. 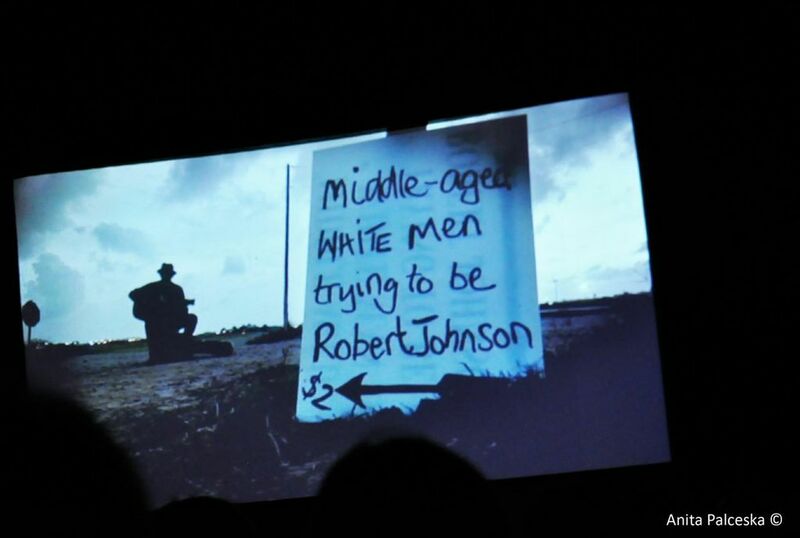 Saban (SRB, Milos Stojanovic) the necessary Balkan spice of the festival with the story of Saban Bajramovic. We laughed to tears and enjoyed the unique charisma of this Balkan blues singer who’s music is deeply infiltrated into our genetic code. These were some of the films we’ve had chance to see. Also on the program: Fredie Mercury: The Great Pretender, Croatian rhapsody: Maksim Mrvica, Coldplay, Supersonic: Tribute to Sun Ra, Martino Unstrung, Damir Avdić: The real man for the capitalism and Marko Brecelj: Priletni parazit, ali kdo je Marko Brecelj. In the competition of short music documentaries we’ve seen a wide spectrum of short stories from all parts of the world filled with many different music genres, but also stories for different kinds of ‘music addicts’ (guitar makers, music records collectionaires)… people who live with and for the music. 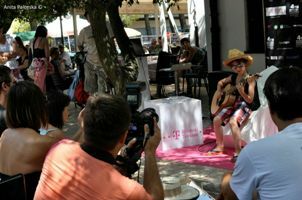 On the list of the played films were: Klapa Cambi: Piva klapa Kornelija, Fink: Warm Shadow, Music Man Murray, Za sve je kriv Earl Jones, Randy Parsons: American Luthier, Northern Haze: Living the Dream, Why Amsterdam, Big Bang Percussion, Rosario, Sedam Tamburaša čika Marka and All Hail the Beat. At the end the jury had very tough task to make a choice of best films films to which they have given awards. 2 awards were given as Special Mention from the jury to Saban (SRB, Milos Stojanovic) and Martino Unstrung (UK, Ian Knox). 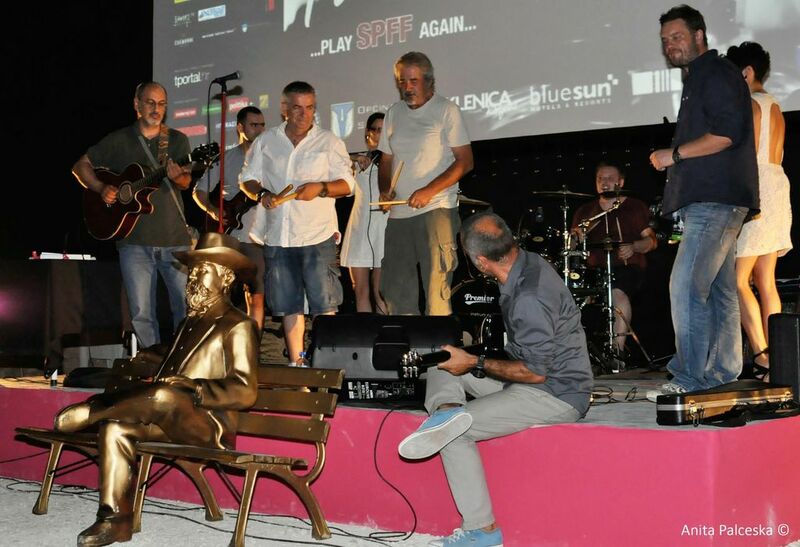 4 awards were from the audience for the films: Klapa Cambi: Piva klapa Kornelija (CRO, Sandra Polić Živković), Marko Brecelj: Priletni parazit, ali kdo je Marko Brecelj (SLO, Janez Burger), Music Man Murray (USA, Richard Parks), American Luthier (USA, David Aldrich) and the absolute winner of the festival Searching for Sugarmen (SWE, Malik Bendjelloul). The Slovenian authors were represented with Otroci Socijalizma, Toše – The Hardest Thing, Vlada and Jan Plestenjak: Priznam. And the collage of music and film was completed with 2 films played out of the competition program, NickCave: Road to god knows where and Jazz Apartman. With part of the directors, producers, film makers and characters we’ve had chance to meet at the master classes and press conferences that were held in the film center every day and have a closer look to the proces of creating of this films, to see that this genre offers huge freedom of expession, wide spectrum of themes and stories and most important of all, a lot of music. We had chance to spend some usefull time with Andy Markowitz (UK) one of the founders of MusicFilmWeb.com the biggest online source for music documentaries and reviews, Thomas Norgaard (DK) young and innovative producers of the film for Pearl Jam, Rada Sesic (NL) creator of program and selector on many music festivals in the world, mentor on the Master of Film in Netherlands and the president of the Jury, Uli Schueppel (GER) the director of the film Nick Cave: Road to god knows where and Marko Brecelj, the character in the film Marko Brecelj: Priletni parazit, ali kdo je Marko Brecelj. 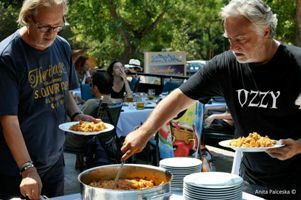 Special energy on the festival was brought in the Film&Food sessions where every day some of the famous guests were cooking for the rest of the participants. 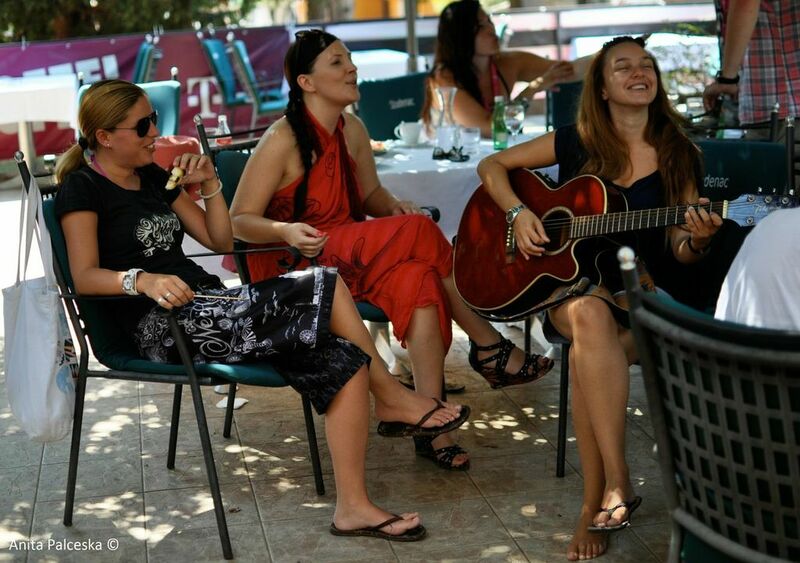 Very often these afternoons were ending up with a guitar and songs from all parts of the world. And the nights were reserved for concerts and DJ sets in Mala Paklenica. It’s hard to describe the atmosphere, evry night was special night. 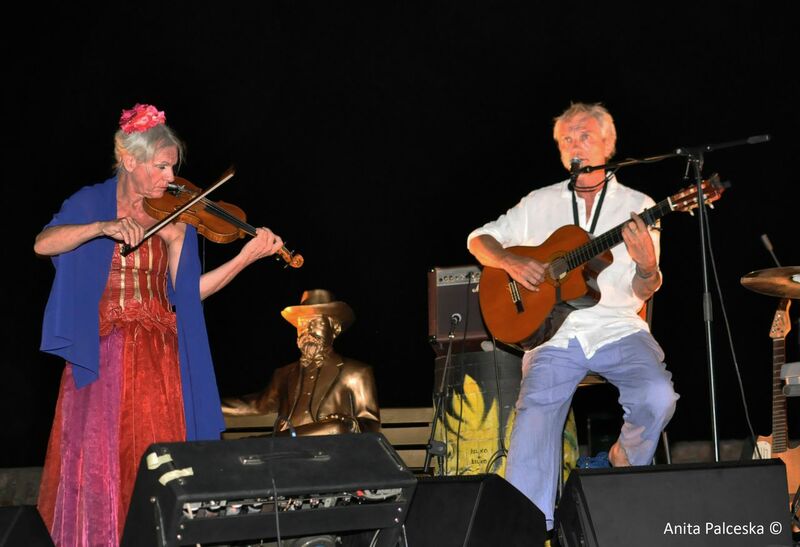 Darko Rundek and his Cargo Trio made us singing and dancing under the night until late in the night. The Tamburasi Cika Marka band with their songs made a tour through all places of former Yugoslavia. I can make a conclusion that the organizer managed to satisfy all our sences… We watched stars under the stars, we enjoyed wonderful music, we smelled the sea and tasted delitious food. 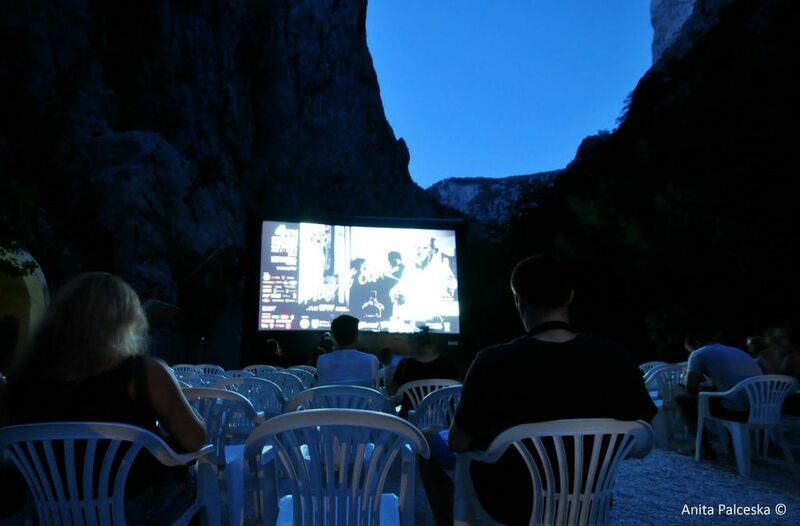 Starigrad Paklenica Film Festival totally succeded this mission. Thanks guys and see you next year!